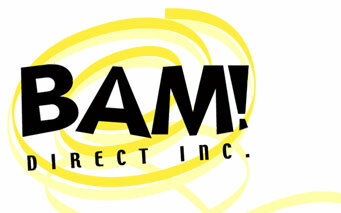 web-to-print solutions : BAM! Direct, Inc.
What Is A Web-To-Print Solution? The Web-to-Print process is similar to desktop publishing (DTP), where the individuals involved in this prepress environment need to utilize a laptop or desktop computer, desktop publishing software, and a computer printer or print house to create the end product. Unlike DTP, Web-to-Print can bypass the use of a graphic designer, as the templates utilized in this process are based upon a WYSIWYG interface that can be edited and approved by a client and by the print house without a graphic designer’s assistance. Commercial Web-to-Print also differs from Print on Demand (POD), as the former process usually concentrates on small or short runs of small print jobs rather than on manuscripts or other large-scale printed projects that often require galley proofs before a final print run is initiated. With that said, Web-to-Print process varies little from the POD system when a PDF workflow environment and digital presses are used in Web-to-Print production. Finally, the Web-to-Print concept sometimes overlaps Variable Data Printing (VDP), a form of POD that is mainly used for personalization of marketing materials with product or customer data that is pulled from a database. VDP is geared toward mass customization, whereas Web-to-print focuses only on changes made from order to order. Effective direct marketing merges multiple channels and technologies. If your business has yet to integrate the two, you are not capitalizing on the quality response you could be generating. BAM! Direct specializes in creating custom web-to-print programs that are cost-effective to develop and provide your business the tool that will deliver strategic and long-term results for your bottom line. Streamline your marketing department to serve multiple business locations or franchises. Create, share, revise, review, proof, print and mail professionally designed, highly targeted communication pieces – and complete campaigns. Create materials specific to any need, with no penalty or added expense for low volume initiatives. In fact, a web-to-print application can function like a virtual marketing department, providing immense and stable support to your team. By freeing up resources, productivity is sure to increase with more time available to focus on ‘what’s next’. While the needs of every company are different, it is easy to understand how a web-to-print solution could work for just about any business, particularly those with branch locations, satellite offices or franchise locations. is adhering to brand identity standards. Editable templates – create custom marketing materials for ‘localized’ initiatives -- in minutes. Onscreen WYSIWYG (what you see is what you get) Proofing – makes creating fool proof. Controlled document flow – know who is creating what pieces and why. Contained production costs – never waste money on printing over runs, or cancelled campaigns. Easy & flexible – graphic icons promotes hands-on approach, make changes in seconds. Contact us today to discuss how a web-to-print solution can help your company stay ahead of the marketing curve.